Sports and physical activities have played a huge role in Carrie’s life. Growing up she played many different sports such as figure skating, basketball, soccer, and competitive track and field specializing as a pole-vaulter. After high school Carrie began regular weight training with the hopes to compete in figure competitions when she discovered CrossFit. Carrie has been training and competing in CrossFit for almost 4 years now and USAW Olympic Weightlifting for almost one year. She became a certified personal trainer in summer of 2014 and received her CrossFit Level 1 in spring of 2014. 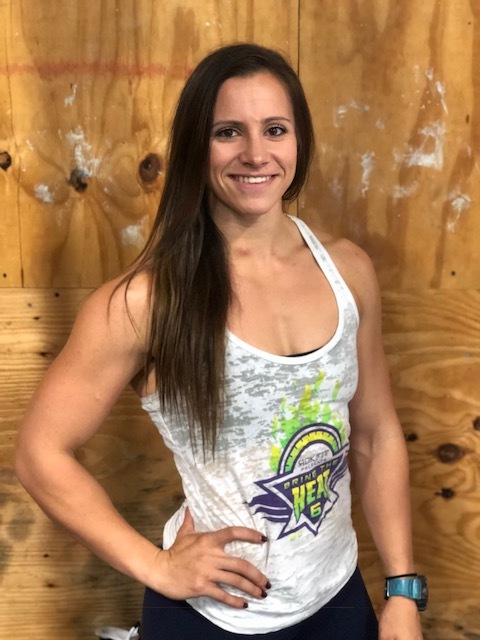 Carrie finished top 50 in the South Central Region the past three years (38th in 2015, 46th in 2016 and 45th in 2017) and qualified for the 2016 USAW American Open at her very first sanctioned weightlifting meet. She has also recently qualified for the USAW 2017 senior Nationals. Carrie not only has a passion for training at a competitive level in both CrossFit and Weightlifting but an even bigger passion for coaching and helping others reach an elite level of fitness.